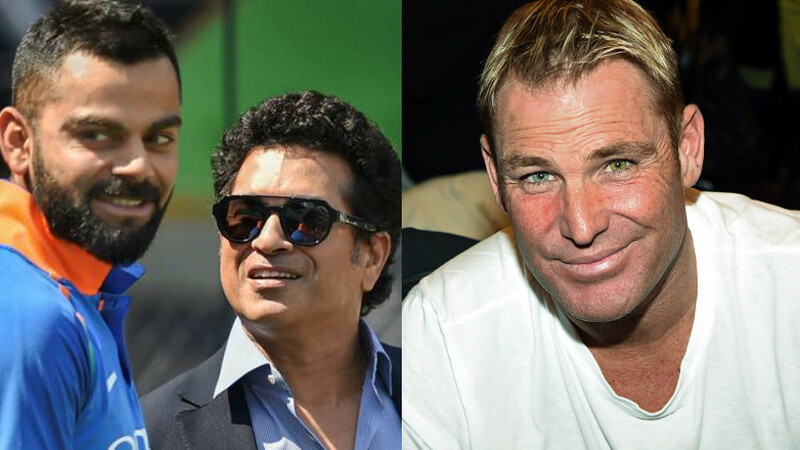 Paine had sledged Rishabh Pant during the Test series between Australia and India. 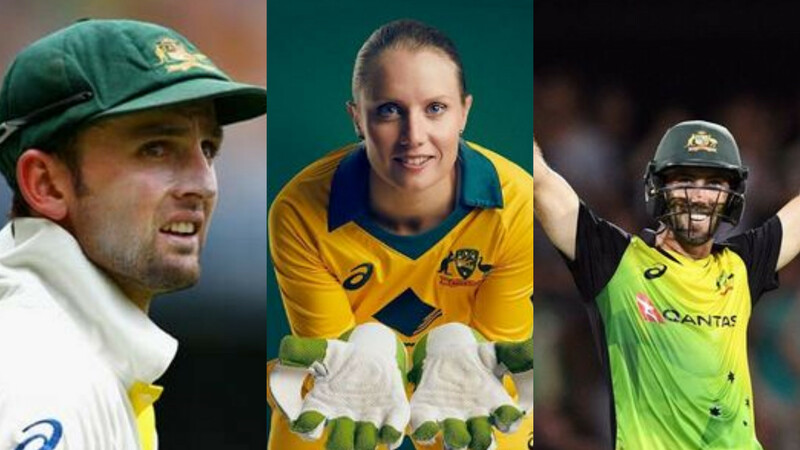 Australia captain Tim Paine came to Australian Cricket Awards 2019 on Monday and the obvious babysitter joke was again popped up on the social media. The official Instagram account of Hobart Hurricanes came up with a hilarious reply when Cricket.com.au shared the picture of Paine with his wife Bonnie Paine. "The biggest names in ???????? cricket have arrived for the #AusCricketAwards - live on 7mate and Fox Cricket from7pm AEDT!," updated the cricket.com.au on Instagram. 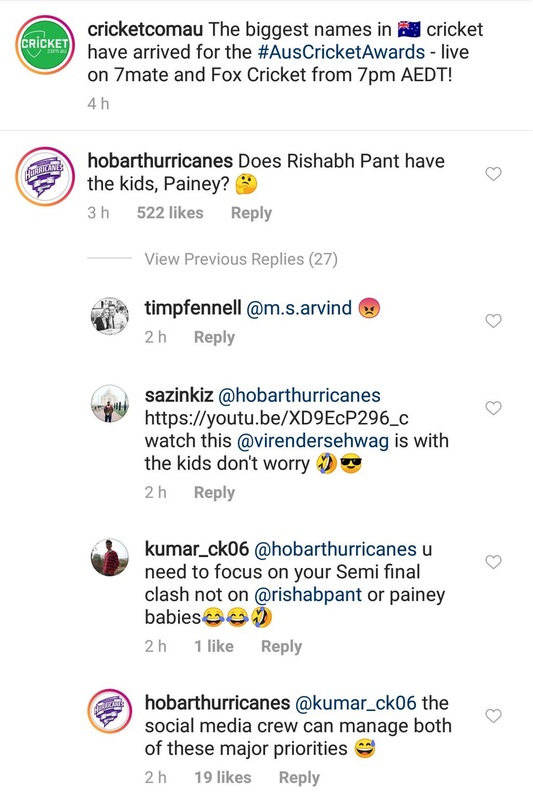 On which, Hobart Hurricanes replied, "Does Rishabh Pant have the kids, Painey?" Fans were in splits after reading the reply. The famous banter between Indian wicket-keeper Rishabh Pant and Paine was taken to next level by the latter's wife when she uploaded a picture on social media with Pant where he was holding the couple's kids. The caption on the picture was, "best babysitter ever." Even ICC had come up with an artwork on this incident when Pant was picked as the emerging player of the year. The biggest names in ???????? cricket have arrived for the #AusCricketAwards - live on 7mate and Fox Cricket from 7pm AEDT!